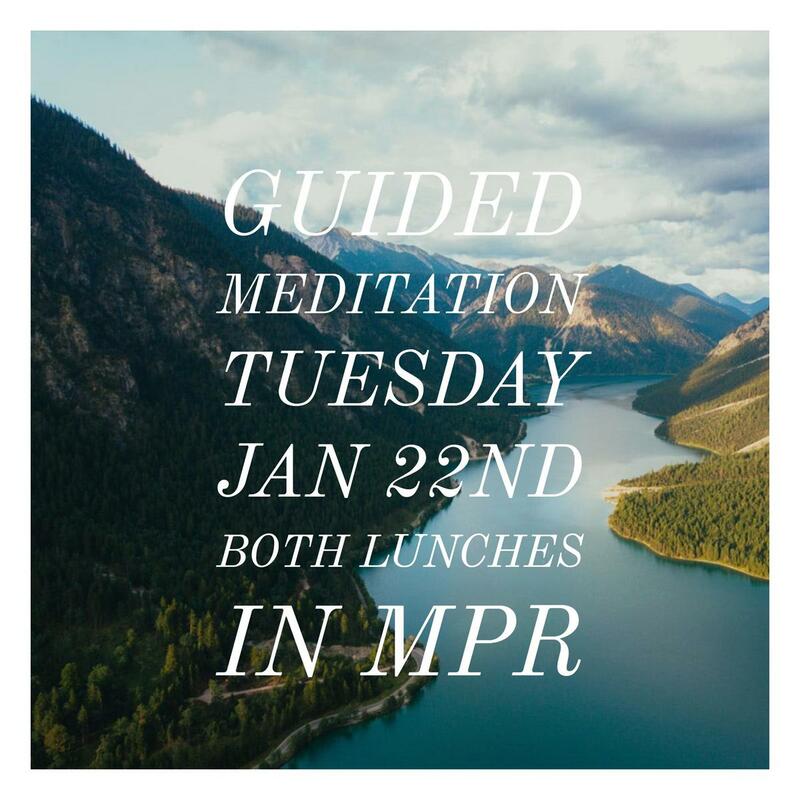 We will be hosting a guided meditation on Tuesday, January 22nd in the MPR during both lunches. Please stop by if you want to clear your mind and learn mindfulness techniques before finals begin. Also here is some great advice to help you prepare for finals. Finals season is always a challenge, and many of the ways we try to deal with that stress end up putting additional stress on the mind and body. This year, work smarter and not harder to take care of your schoolwork and yourself at the same time. Know your assignment due dates and exam times and locations. Having a complete timeline will help you better block out your schedule. It’s also important to be realistic about what you can do at this point in the semester. If you’re in a time crunch, this means prioritizing assignments or exams that have a bigger impact on your goals or enrollment. You don’t need to avoid your favorite coffee or tea. Studies show caffeine can boost mood, concentration, and even short-term memory. However, too much caffeine (more than 400 milligrams or about 4 cups of coffee a day for the average adult) causes jitters and anxiety and disrupts sleep. If you are already struggling with anxiety and sleep or are very stressed, caffeine can prove more harmful than helpful. It can be tempting to skip on sleep at finals time, especially if you are in an environment that views lack of sleep as an expectation or a sign that you’re a hard worker. Lack of sleep impairs your memory, mood, and ability to process information. These can create or worsen mental health problems. Conversely, evidence shows that sleep improves both test scores and academic performance. Sleep is not the only rest that’s important. Building in breaks for fun will help you work better for longer. Decide on an interval for taking breaks (i.e., for every 50 minutes of work, I will take ten minutes for myself). Breaks can include things like a quick walk, music, a nap, or a funny video. Short breaks will help you recharge and prevent burnout. Study groups, shared meals, or just working next to friends in the library are all good ways to stay connected and get some peer support. Finals may be hard, but it can help to feel like you are in it with other people. Plus, all the work and stress can make it easy to isolate or even avoid assignments and studying. Others can provide accountability and motivation to keep working. While being around people can be helpful, avoid the trap of procrastination through social media. There are even extensions that block your access to social media for set periods of time. Getting a certain grade can feel like the end of the world. With all the pressure to succeed, it’s easy to forget that you and your health and well-being matter more than a score on an assignment or exam. You wouldn’t judge another person’s life or value based on one test or paper. Show yourself the same kindness!